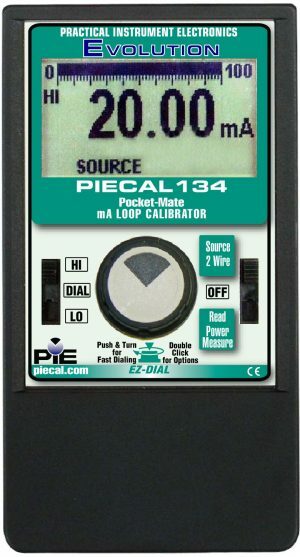 Practical Instrument Electronics (PIE) Model 535 brings you the features of a calibrator for 4-20 milliamp as well as10-50 milliamp process loops. The EZ-Dial™ knob and EZ-Check™ switch are all that's needed to make quick adjustments or set 0% or 100% of full scale. The EZ-Step™ button provides one-handed stepping. Automatic stepping and ramping modes allow hands-free testing and calibration of the process loop with HIGH accuracy and repeatability designed in collaboration with Nuclear plants. 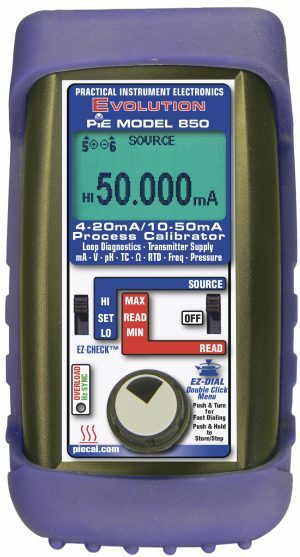 The basic Model 535 supplies over 42V at 50 mA to power most instruments. The Model 535-50 supplies over 50V at 50 mA for instruments requiring power supplies of 48 V dc. 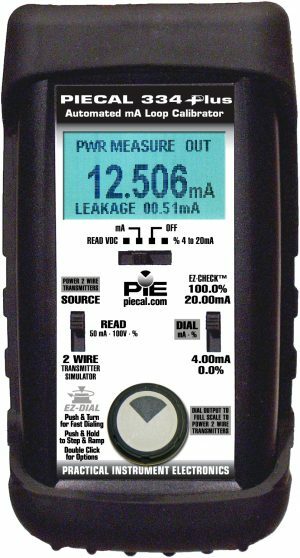 With the Model 535, calibration is easy as PIE.